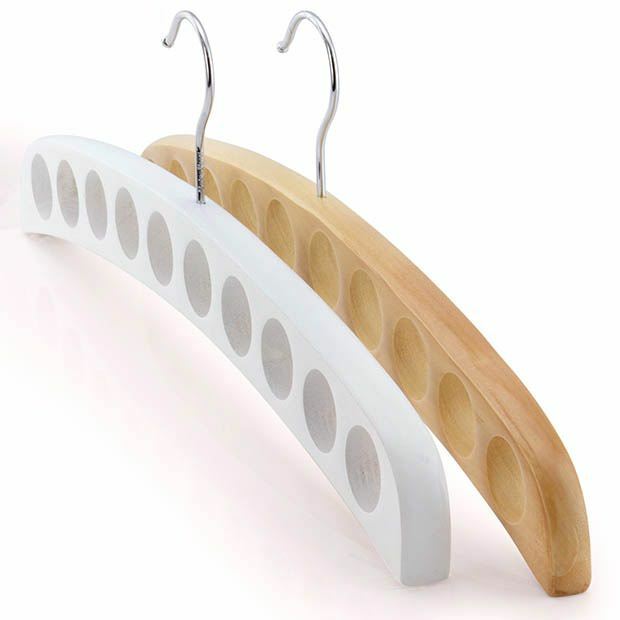 Pair of premium quality scarf hangers, 1x natural & 1x white. Smooth wood finish with 10 circular openings. Could also be useful for belts, jewellery and other accessories. May not be suitable for use with silk or chiffon. Great idea for an unusual gift! One of the co-ordinated range by Hangerworld.